When a VM is placed on an automatic network in Skytap, the automatic network assigns the VM a unique hostname. Windows VMs may not recognize their Skytap network hostnames, because Windows also assigns hostnames (also called “computer names”) within the operating system. Runs as a Windows service that starts automatically. Checks every few seconds to see if the hostname of your VM matches what is configured in Skytap Cloud DNS and your network adapter hostname. If the hostname of your Windows OS VM doesn’t match the hostname in Skytap Cloud for that VM, the utility restarts the VM so that the new hostname is applied. The Skytap Helper utility only works if there is one automatic network in the environment and the VM is attached to it. 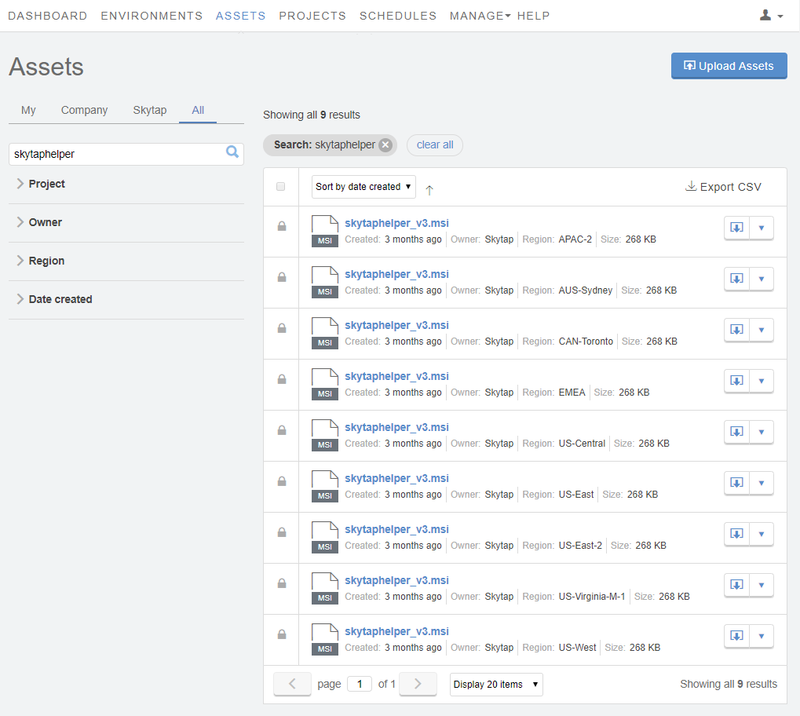 Navigate to https://cloud.skytap.com/assets from the VM web browser. Search for skytaphelper.msi in the public assets library. Click the download button to download the installer to your VM. Run the installer on the VM (you may have to reboot). 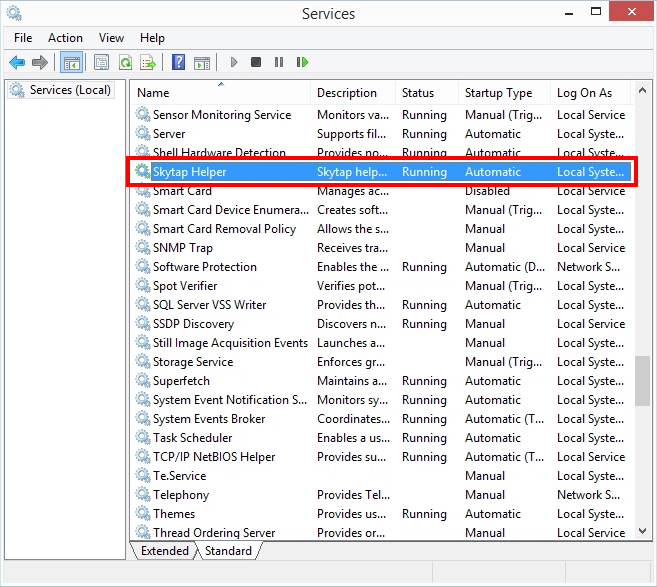 In the Windows VM, click Start > Run. Type services.msc. The Services management console displays. Verify that Skytap Helper is in the list of services. If you don’t want the Skytap Helper to automatically reboot and sync the VM hostname, you can disable Skytap Helper. 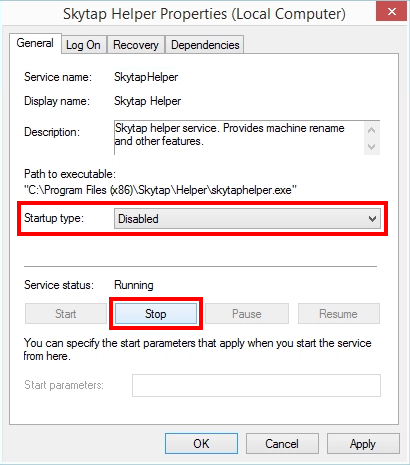 We strongly recommend disabling the Skytap Helper for Windows Domain Controllers.